If I sell through the Art Catalogue will you pay me the correct sales tax (VAT) on top of my share of the proceeds? 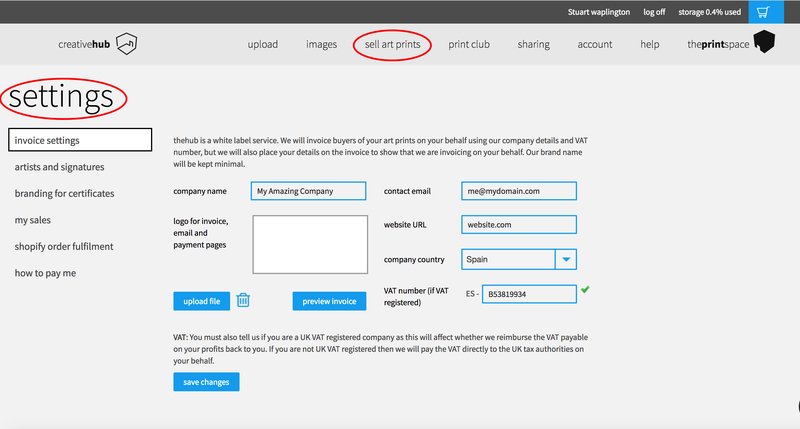 If you sell your art through the art catalogue, i.e. for sales not sold directly to the customer yourself, then we will pay you 50% of the net proceeds of the sale (i.e. after delivery and print cost) and additionally we will pay you the correct amount of sales tax (VAT) so long as you tell us your country of residence, and give us your valid sales tax registration number. If you do not tell us your country of residence, we will default to charging sales tax (VAT) as per UK rules, assuming you are resident in the UK.